In Spanish classes for children and youth at Tierra, students are immersed in the Spanish language and enjoy learning through games, music, stories, and crafts. Our dynamic and interactive lessons expose students to the Spanish language and Latin American culture with motivating activities that invite them to use Spanish as a natural means of communication, even if they’ve had little prior exposure. Our small-group classes have a maximum of 10 students, creating a comfortable and highly participatory atmosphere in which our experienced, enthusiastic instructors have the chance to guide each student towards being able to express themselves in Spanish. We seek to make your child’s imagination to soar and to plant a seed of knowledge that will inspire their curiosity, encouraging them to pursue learning Spanish for years to come. In this class, young learners ages 3 - 5 will absorb new Spanish words and phrases through songs, rhymes, stories, games, movement, and crafts. Students will learn thematic vocabulary such as greetings, colors, numbers, parts of the body, animals, food, nature words, and rooms in the house and will learn to understand and respond to basic questions. 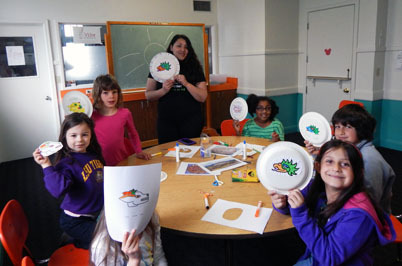 This class for children ages 6-10 will expose children to basic Spanish structure and encourage them to actively use the language through the use of music, games, chants, and stories. Highly interactive, students acquire new vocabulary through fun repetition activities, reinforced with cultural touch-stones such as popular children’s songs and games from Spanish-speaking countries. Designed for Beginning students, or students who’ve had some previous study or exposure to Spanish, this class aims to stimulate in children a love of learning language and confidence to use their burgeoning skills. 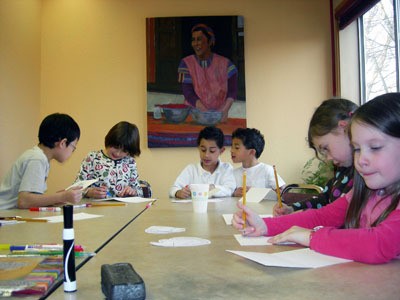 This Summer, Saturday Spanish classes for Children will be held at Tierra’s location - 5745 NE Glisan St. Click here for more information on our location and parking.